Baobab is the well-known name given to the trees of the nine species of the Adansonia family. The baobab oil is derived from the fruit seeds of Adansonia tree. This tree is one of the most characteristic trees of Africa, and it is often called the upside down tree because it looks as though it is growing roots upwards. It is deep golden yellow in color and is quite viscous. It has a charismatic aroma. This oil is obtained by cold pressing them. It has a rich feel and is an amazing moisturizer. The baobab oil is commonly used for skin care and is one of the few oils which are added in its raw state in cosmetic products. Baobab oil is one of the most prominent oils from Africa. Adansonia trees have a thick trunk which is usually thickest in the middle. Of all the species, the Adansonia grandidieri trees look the most picturesque. These trees store water in their trunks and are able to survive years of drought. They also live up to thousands of years. They have been used traditionally in Africa to extract cooking oil. Its fruit resembles coconuts, but the taste is somewhat tart. These fruits are high in many nutrients, and as such are of great nutritional importance. Baobab oil has a really different texture that most other oils. One can use it as massage oil to get silky, smooth skin. The massage is easily facilitated because of this oil. Massage with this oil is good for dry, damaged skin. It helps the skin to restructure and heal itself. It can help to heal dry skin patches. It is quickly absorbed into the skin. However, it does not leave the skin completely dry because of its non-siccative property. Baobab oil is heated gently and then applied on the scalp for a hot oil conditioning. Cover with a shower cap for a few hours and then wash it off. This makes the hair soft and prominently silky. It also adds some volume to the hair. Applying baobab oil to the hair protects them from damage by sun and free radicals which leaves the hair separated, damaged and frizzy. Baobab oil is a wonderful home remedy for stretch marks. Regular application on area affected by stretch marks reduces the appearance and depth of these marks. It is possible that the oil stimulates collagen and elastin synthesis under the skin to heal the stretch marks. Similarly, it can be used to heal wound scars, like post-surgical scars. Apply a small amount of baobab oil on the skin after the shower. This helps to lock in the moisture. The oil is readily absorbed, thus leaving a non-greasy feeling within a few minutes. Alternatively, one can add it to a moisturizing lotion to increase its effectiveness. Baobab oil is of a great help towards your tooth issues. Traditionally, this oil is extensively used to cure swollen and infected gums. You can massage the oil directly on the gums to get rid of the pain or inflammation. Baobab oil helps in burning fat from your body. It does so by removing fats from blood and blood vessels. This thus helps in detoxifying your skin. Baobab oil is made from baobab seeds. The seeds are found in large capsule-like fruit which grow on baobab trees. Baobab fruit grow on trees throughout the savannas of Africa. The fruit mature during the dry season and drop off the trees when ready to harvest. People living in rural area collect the fruit from under the trees. The fruit are transported to our processing facility. Here the fruit are cracked open and the inside powder and seed is removed. The seeds are extracted from baobab fruit by cracking the hard outer capsule. The extracted seeds are then washed to remove a powder coating and then air dried in the hot sun. These seeds can be stored for many months before pressing. Baobab oil is made by a cold pressing process. A press, or expeller, ‘squeezes’ the oil from the baobab seed. The newly pressed oil is immediately filtered to help clarify the oil which is then bottled. Baobab oil has not undergone any further refinement or processing and has no additives. Baobab oil has a strong resistance to rancidity. It should however be kept away from light. It has a good shelf life. The best oil is organic, cold pressed oil which is unfiltered. This oil is used for topical purposes. For using as cooking oil, one should get oil from which the anti-nutrients have been removed. Baobab oil is somewhat exotic oil with a silky texture which is sure to surprise many people. It smells good and is nice for general skin care. It is better to mix these ingredients in a blender. For best results, use the eye cream twice daily. It can be used to cure skin issues like psoriasis or eczema. You may also use the oil as a treatment to heal your scars and marks. As a face moisturizer, massage the oil around the eyes, mouth and cheeks. As a body moisturizer, wet your hand with water add a few drops of baobab oil to the wet, then rub into the skin on arms and legs. You can also add a few drops to your regular face and body creams and in this way get the benefits of the baobab oil. Add it to bath oil or just after a bath, rub oil into wet skin, wait for the oil to absorb and then dry. Baobab Oil is also good for strengthening damaged hair and for moisturizing dry hair, so just adds it to your hair conditioner. Small amount of oil applied directly to the lips is great for sore, chapped lips. Soaking the hands and feet in baobab oil will soften and protect the nails. It also helps prevent breakage of the nails. Baobab oil is great for helping to heal eczema. The oil is used in cosmetics worldwide. It can be used as bath oil and bath soap. You can use it as a moisturizer for your body, face, and hands. It can also be used as a lip cream. You can use it in winters as a sun block as it is non-sticky and protects your skin from the sun. It blooms once a year. Baobab oil is added as one of the ingredients in the manufacture of creams, lotions, soaps and shampoos. Baobab oil is not appropriate for consumption through the mouth as it has anti-nutritious compounds called the Cyclopropenoid fatty acids (CFPA). Cooking in this oil can give rise to harmful compounds in your body through chemical changes due to fatty acids. You should keep it away from light and specifically sunlight. It should not be taken internally. 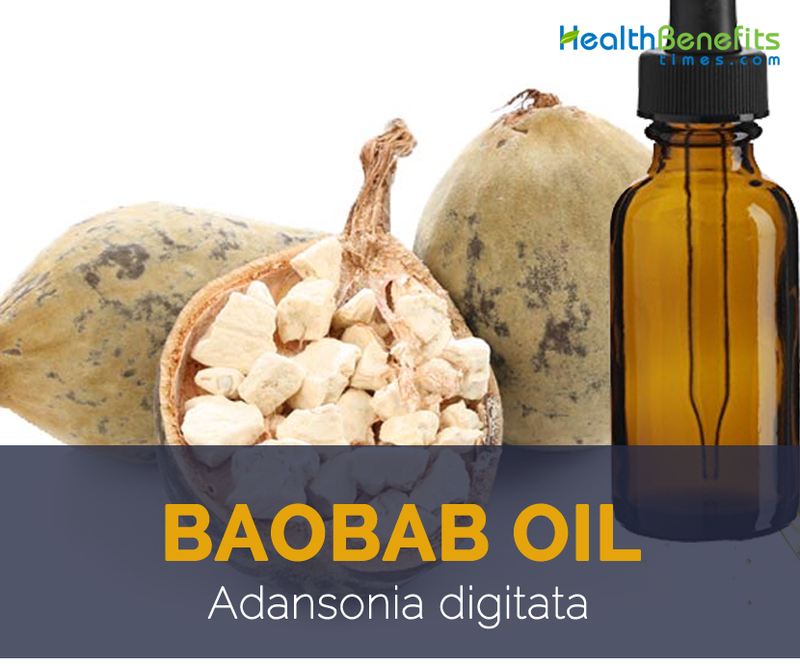 Baobab oil is obtained from the seeds of Adansonia tree. This tree is one of the most characteristic trees of Africa, and it is often called the upside down tree because it looks as though it is growing roots upwards. The oil is quite viscous, with a rich, silky feel and a mild aroma. Baobab oil is an excellent moisturizer and ideal for numerous cosmetic applications. It is one of the few oils which are added in its raw state in cosmetic products. Baobab oil is one of the most prominent oils from Africa. The seeds of this tree are rich in soil. They have been used traditionally in Africa to extract cooking oil. Its fruit resembles coconuts, but the taste is somewhat tart. These fruits are high in many nutrients, and as such are of great nutritional importance. 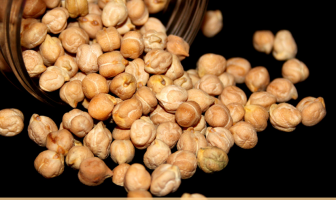 The oil is obtained from the seeds using cold pressed method, in most cases. Oil is quite beneficial for treating scars and marks. Skin issues like psoriasis or eczema can be healed with the regular use of this oil. This oil when applied on lips helps to cure sore and chapped lips. Soaking the hands and feet in baobab oil will soften and protect the nails. Eczema can be cured with the regular use of Baobab oil. This oil is quite beneficial for strengthening damaged hair and for moisturizing dry hair. It can be massaged around the eyes, mouth and cheeks. It is found used in several cosmetic products, soaps, shampoos and creams. It can be used as a moisturizer for your body, face, and hands. It is be used in winter as wonderful sun blocks and help to protect the skin. It is also used as a lip cream. You cannot ingest this oil since it consists of anti-nutritious compounds. You cannot cook in this oil because it gives rise to harmful compounds. The oil should be kept away from direct sunlight. You should not use this oil excessively. Keep away from small child and kids.